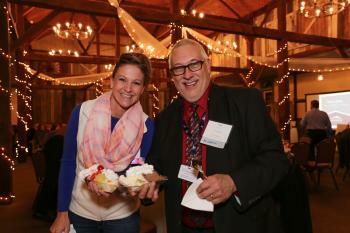 We celebrated tourism and partnerships in the Laurel Highlands at The Barn at Ligonier Valley on Oct. 25. 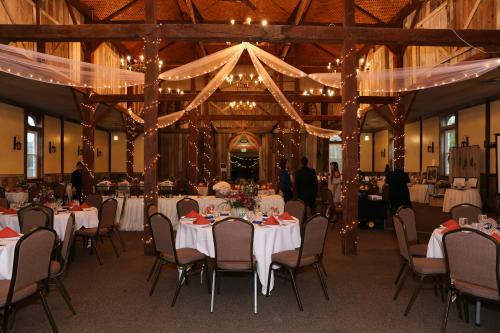 If you haven&apos;t been to The Barn, it is absolutely gorgeous and it was decorated perfectly for the occasion. 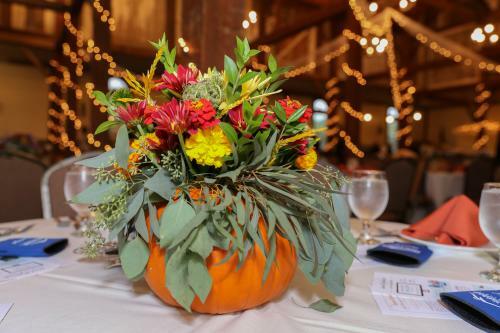 Thanks to Ridgeview Acres Farm for the lovely fall-themed floral centerpieces! 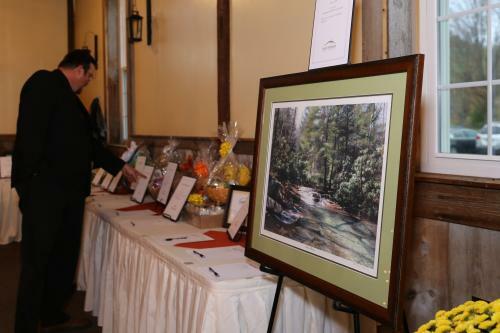 There was a silent auction with more than 30 baskets and prizes, including season passes to Idlewild Park, a framed print of the Falls at Flatrock and a one-night stay at Nemacolin Woodlands Resort! All of the proceeds benefit the college scholarship fund through the Laurel Highlands Education Foundation. 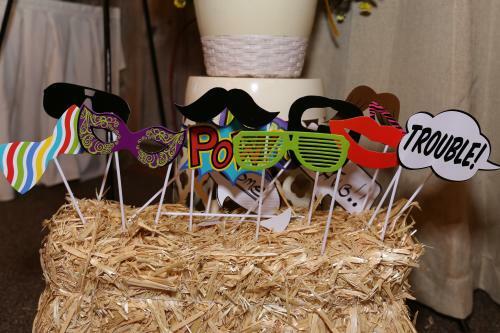 We hope you all took advantage of the photo op with these silly props! 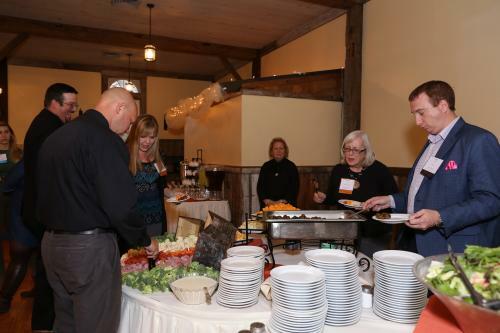 And of course, you can&apos;t forget about the food and drinks! 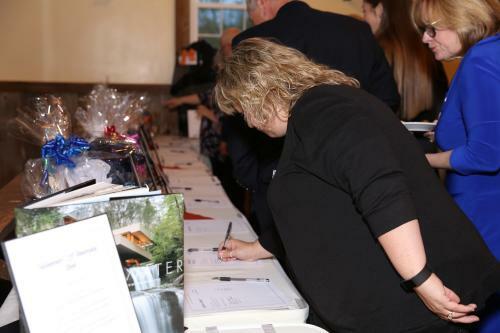 Guests were welcome to an open bar, featuring grog made by Compass Inn Museum, local wine and beer from Whitehorse Brewing, Bella Terra Vineyards, Christian W. Klay Winery, Greendance Winery and Stone Villa Wine Cellars. Kudos to Carson&apos;s Catering for the delicious meal, complete with hors d&apos;oeuvres, salads, chicken with lemon caper sauce, carved roast beef tenderloin and an ice cream sundae station. 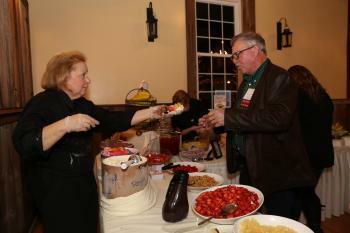 But we didn&apos;t just have any old ice cream sundae station...we had a banana split bar, and it was a hit! 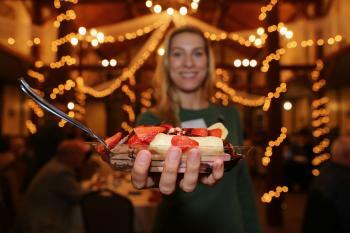 As you may know, in 1904, a pharmacist invented the banana split in Latrobe. Thanks to Giant Eagle for the bananas and Valley Dairy for training Carson&apos;s Catering staff to make the proper authentic banana split: a banana (duh), vanilla ice cream with pineapple, strawberry ice cream topped with strawberry, chocolate ice cream with chocolate syrup, crushed peanuts, three stars of whipped cream, two maraschino cherries and an American flag in the middle! 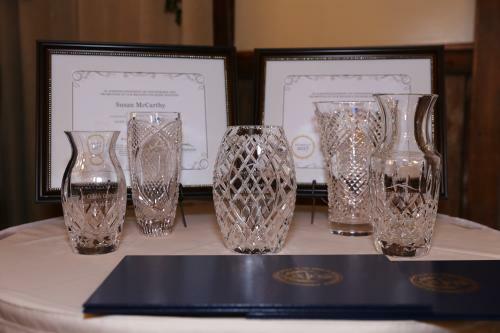 Thank you, Brenda Schwartz, for capturing photos of these memorable moments at the dinner! 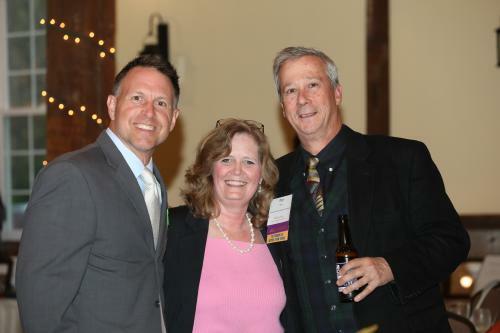 If you attended the Annual Dinner, we hope you had as much fun as we did catching up with old friends and meeting new people. 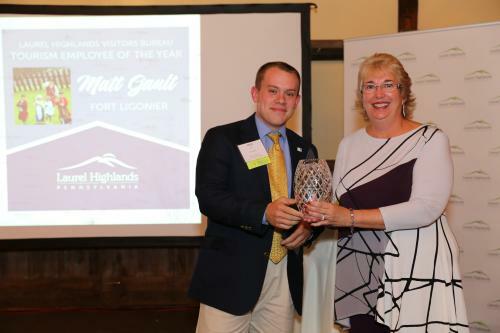 Post your photos on Instagram and use #LaurelHighlands for everyone to see! 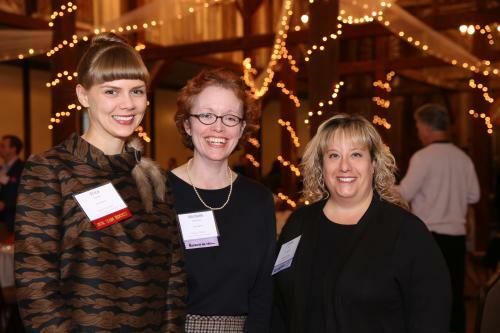 If you couldn&apos;t make it, we look forward to seeing you at next year&apos;s dinner, where we will be celebrating 60 years of the Laurel Highlands Visitors Bureau!